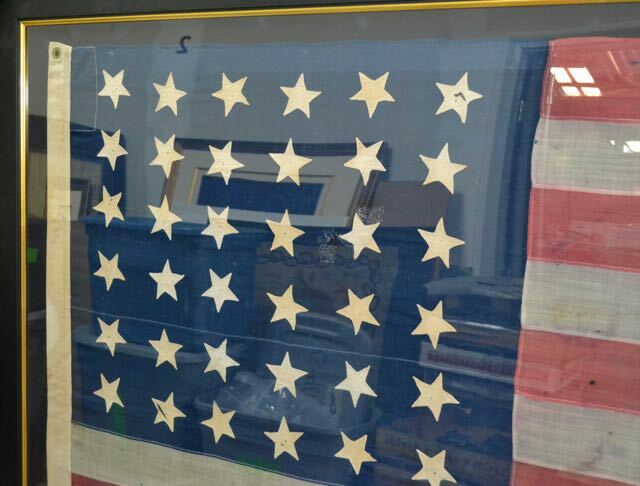 36 Star American Flag. 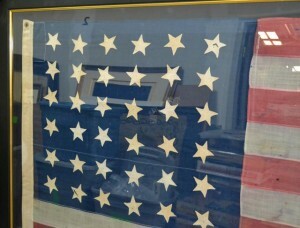 Authentic antique 36 Star Civil War era flag. 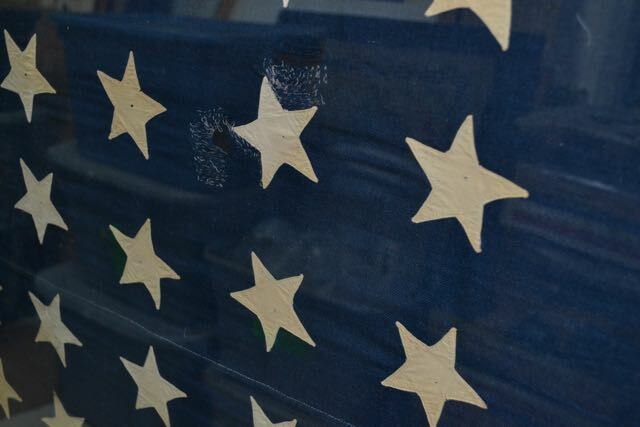 Because of the date of Nevada’s introduction, the 36 star flag is considered Civil War Era and it is known that 36 star flags were used by military units during the course of the war. 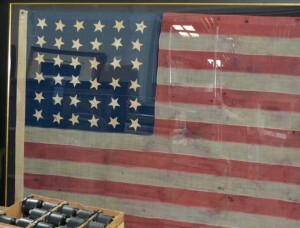 President Andrew Johnson was the only president to serve under this flag. 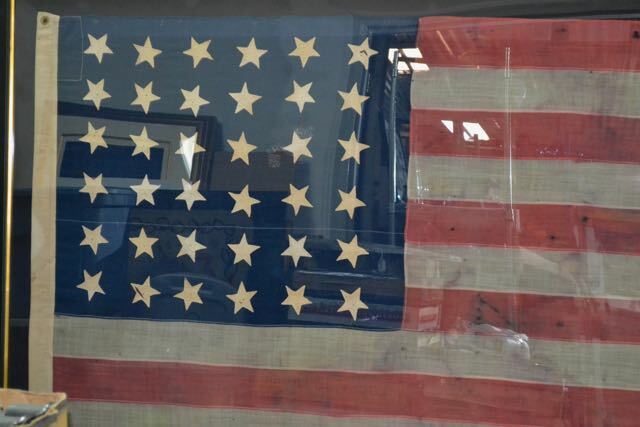 The actual period of the 36 star flag spans almost six months of the war, though the official period follows the end of open hostilities.The 36-star American flag, known as the “transfer flag” or the “purchase flag” the attribution is uncertain. 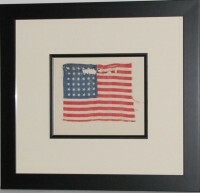 This is a large framed flag as the frame is 80″ wide. The flag has beautiful hand cut and hand sewn linen stars on both sides. Its made of wool has a heavy weight linen hoist with two hand made hand pressed brass grommets. 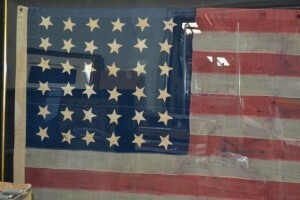 It has a number of incredible hand stitched repairs. A real showpiece for a large area. Circa 1864. 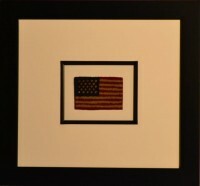 This flag comes with museum framing with UV acrylic. 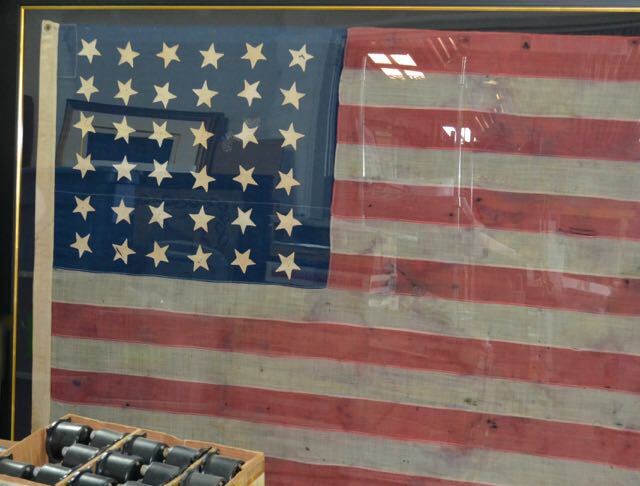 As always, this flag comes with white glove shipping. 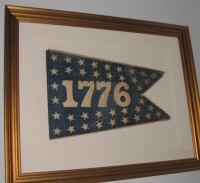 Add a piece of American history to your home, office, or as a gift for those who enjoy American history.